The layout for this local vineyard required holding back the steep slopes where grapes grow and thus creating flat space for production and entertainment facilities. 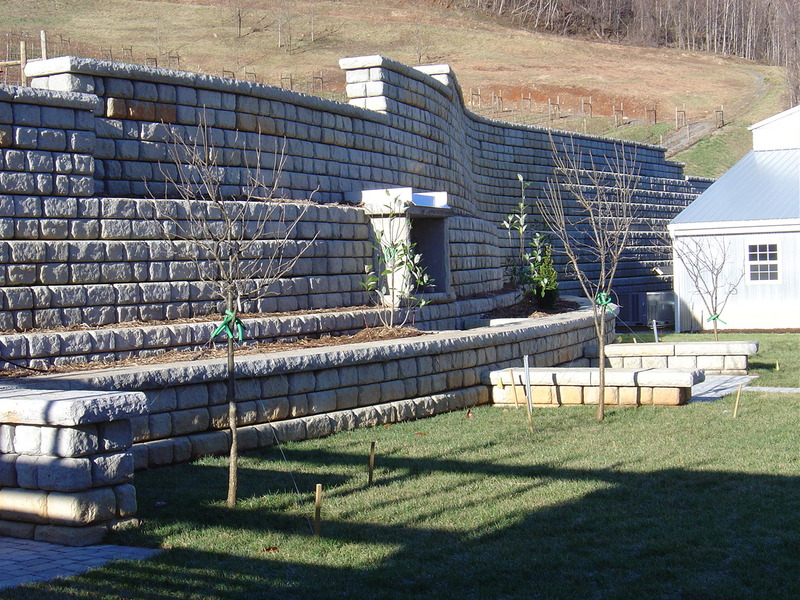 Free standing gravity walls and engineered 16 foot retentions walls were constructed using 1 ton Redi Rock blocks. A planter trough allows for vegetation to be grown in the retaining wall, creating a live wall and thus softening the height and expanse of the massive feature.